Class Act Salon and Spa is Corpus Christi’s premier choice for hair salon and spa services. Class Act Salon and Spa was established in 1988 and continues to be a leader in the hair and beauty industry. As the top hair salon in the area, we offer all hair treatments from a simple trim to hair color, highlights, Brazilian blowout, perm, relaxers, corrective color, and more. We offer exceptional service backed by years of professional experience. Whether you are looking for a new hairstyle, hair color, highlights, extensions or deep conditioning treatments, Class Act’s professionals can meet all your hair care needs. If you are looking for a time of relaxation and rejuvenation, our spa offers a full array of spa services: European, Swedish, and deep tissue massages, facials, permanent cosmetics, hair extensions extensions, waxing, nail services, and more. We take pride in the quality of our work, and our ability to serve our customers. Our hair salon and spa accepts all major credit cards and walk-ins are always welcomed! Come experience a rejuvenating retreat for your mind, body, and spirit. From head to toe, our massage therapists, skin and nail technicians will pamper you with a full range of spa packages. Whether you are looking for the perfect gift for your loved one or if you are getting ready for that big night we have a great selection of spa and beauty packages to fit every special occasion. We offer 20% discounts for those who put their lives on the line every day protecting and helping our communities and our families. Class Act Salon & Spa would like to extend our sincerest thank you to all police officers, members of the military, and firefighters by offering these special discounts. 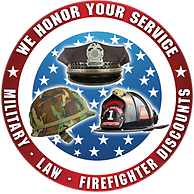 We owe our safety and freedom to our hard-working service members and it is our pleasure to provide you with this special discount. Master stylists offering hair services customized to your needs. Spa services that pamper you from head to toe. Large selection of the best manicure & pedicure services. 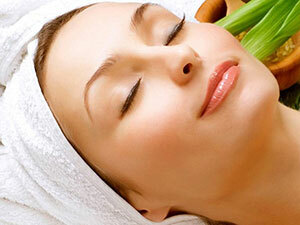 Pamper yourself with one of your face and body spa packages.